Was doing some reading today, and came across the word “assertoric,” which forced me to the dictionary. As it turns out, it is a word typically used in philosophy, and I found the definition below. 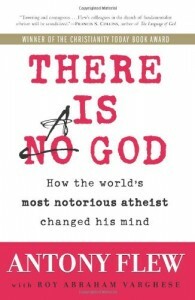 What is notable about it is not just the interesting three types of arguments, but the fact that they were written by the now infamous Anthony Flew, the great atheist philosopher who recently decided that he had to be an agnostic based on his appraisal of the philosophical arguments, and wrote about it in There Is a God: How the World’s Most Notorious Atheist Changed His Mind. An assertoric proposition in Aristotelian logic merely asserts that something is (or is not) the case, in contrast to problematic propositions which assert the possibility of something being true, or apodeictic propositions which assert things which are necessarily or self-evidently true or false. For instance, “Chicago is larger than Omaha” is assertoric. “A corporation could be wealthier than a country” is problematic. “Two plus two equals four” is apodeictic.